. 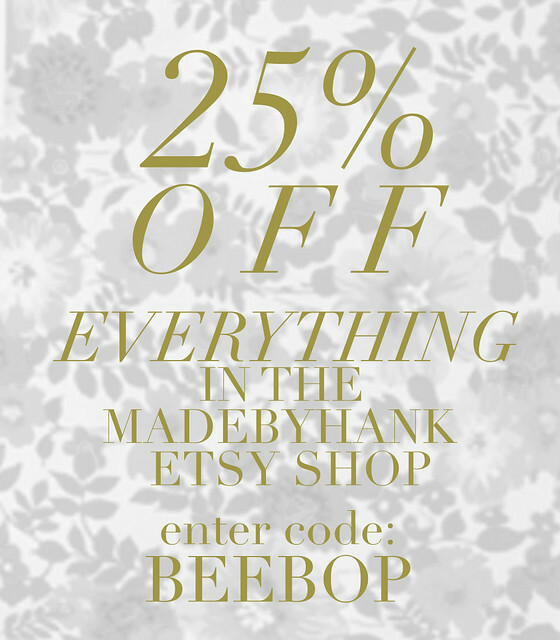 . . M A D E B Y H A N K . . .: 25% off ! ! ! psst! i am offering 25% off (!!) everything in my shop. today only! offer valid until midnight EST tonight (friday june 17th). enter code: BEEBOP at checkout. i've been coveting your pouches + bags for a year. i'm headed off to your store to see what you have :) thanks for the tip!